Fig.1. Kanagawa Oki Uranami - "The Hollow of the Deep-Sea Wave off Kanagawa", coloured woodcut from the collection of "Thirty-Six Views of Fuji" (1831) by Japanese artist Katsushika Hokusai. The contrast between the various elements reflects the harmonic order between Ying and Yang and the necessity of solidarity of men in case of natural disasters. The destructive power of water from the sea - Ying- contrasts with the calmness of the fishermen - Yang- the symmetric symbol is also formed by the wave and the sky. 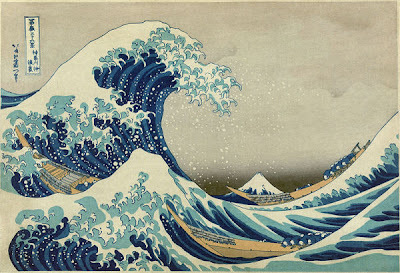 The similar colour of the volcano in the background and the wave emphasise the harmony between mountain (symbol for the body) and wave (symbol for the soul). Many books describe this wave as a tsunami, but it's shape, characterized by a deep leading through and a very peaked crest, reveals it's origin from the wind. Only some tsunamis resemble such a wave and only near the shore. The words "tsu-nami" in Japanese means "wave in the harbour", the name derives from the experience of fishermen that only when they returned from the sea into the supposed secure harbour they discovered the terrible destruction that these waves can cause on the shore. Tsunamis are generated by the rapid dislocation of large quantities of water by displacement of the seafloor triggered by earthquakes or landslides, also by explosions caused by volcanic eruption or meteoric impacts. The Pacific Ocean is surrounded by tectonic active borders of the lithospheric plates; nearly 53% of tsunamis worldwide occur here and 82% of them are caused by earthquakes. Fig.2. Location of tsunami in the Pacific Ocean region: A) Location of 1.274 tsunami since 47 BC. Size of circle increases proportional to number of events per degree square of latitude and longitude. 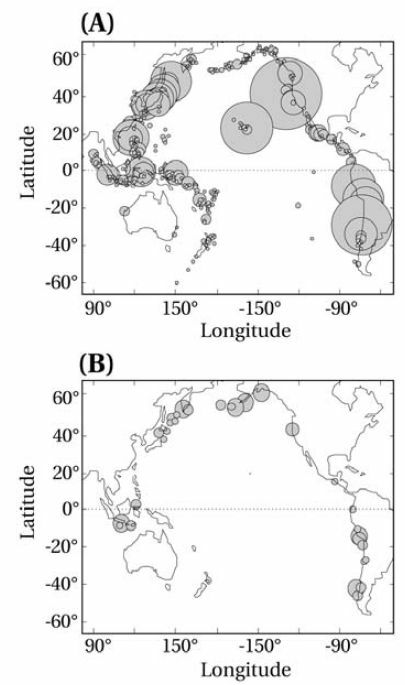 B) Source of significant distant tsunami - tsunamis generated at the coast of Japan can have effects on the coasts of the American continents and vice versa. Size of circle increases proportional to area affected and magnitude of the event, after BRYANT 2008. Note however that the diagram is biased against well studied coast regions (like U.S.A.) or areas with long written records (Japan). 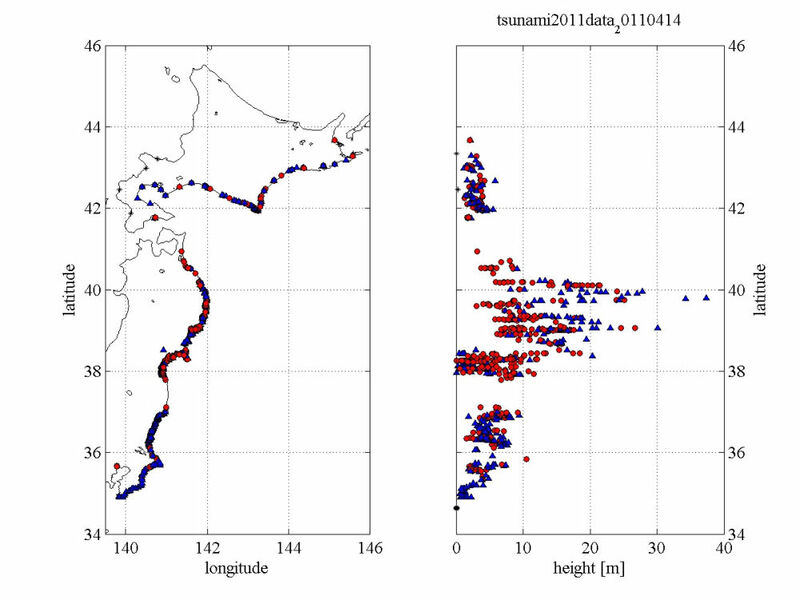 Recognized Tsunamis sediments in Japan go back nearly for 5.000 years, historic records span for nearly 1.300 years, however the most detailed and precise accounts cover mostly the recent period. "Some time after severe seismic shocks, a gigantic wave [tsunami] reached the coast and invaded entire Sendai plain. Rising seawater flooded an old castle town [Tagajo], causing the loss of 1000 lives." "Always be prepared for unexpected tsunamis. 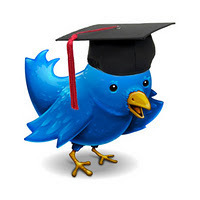 Choose life over your possessions and valuables." "If an earthquake comes, beware of tsunamis." "High dwellings are the peace and harmony of our descendants, remember the calamity of the great tsunamis. Do not build any homes below this point." In 1596 an earthquake offshore reportedly generated a tsunami that destroyed the island of Uryu-Jima completely and caused more than 4.000 deaths. An official diary about the life and work of the Japanese warlord Tokugawa Ieyasu in his residence city of Sumpu from 1612 contains what is probably the earliest example of the written word of "tsu-nami". The text contains eyewitness-reports of a tsunami that hit north-eastern Honshu, killing thousands of people on December 2. 1611. On 26. 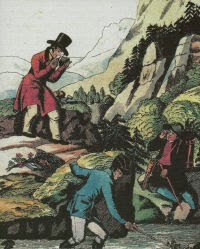 January 1700 contemporary chronicles describe a surprising tsunami, which caused minor havoc, but was not preceded by an earthquake (that earthquakes can be followed by a tsunami was already a well known fact). Research 300 years later revealed that this "orphan tsunami" was generated by an estimated magnitude 9 earthquake offshore the North American coast. Possibly one of the largest tsunamis recorded in the history of Japan followed a strong earthquake in 1737. Information is scarce and written records are based mostly on rumours: according to these a 64meter (!) high wave devastated the island of Yezo (modern Hokkaido) and destroyed the coastal city of Kamaishi, thousands of people died. On June 15. 1896 many villages along the coast of Sanriku were celebrating the return of the soldiers from the war against China, when an earthquake of magnitude 8.5 occurred nearly 145 kilometres offshore of Honshu. The direct effects of the five minutes long quake were of minor entity, the epicentre was distant enough to reduce catastrophic movements on the main island and earthquakes were nothing unusual in this region. However 35 minutes after the earthquake the most devastating tsunami experienced until then in modern Japan hit the coast, one of the subsequent waves reached a height of over 30-38 meters. 26.000-27.122 people were killed and 9.000 buildings destroyed, the effects of the Tsunami were observed over the entire Pacific, in Hawaii some houses were swept away and a three meter high wave reached the coast of California. Fig.3. 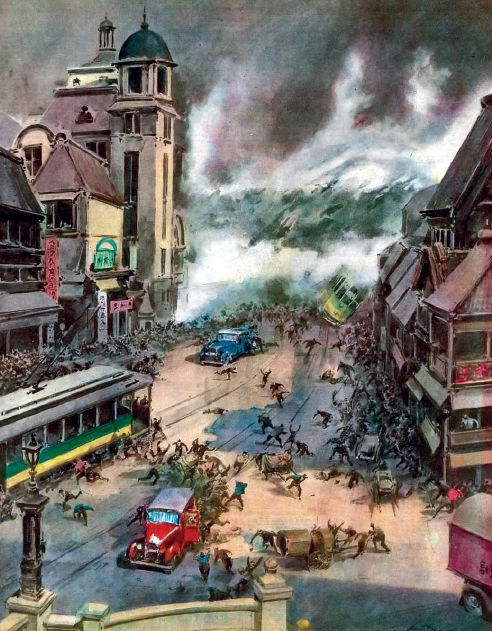 Drawing by Walter Molino, published in the Italian newspaper "La Domenica del Corriere" January 5, 1947, of a tsunami, probably the tsunami of the Great Tokyo Earthquake of the 1. September 1923. The devastation of the earthquake was caused mainly by the subsequent fire, but it triggered also a 11m high wave - estimated 90.000-130.000 people were killed. In 1933 another very strong tsunami hit the coast of Sanriku. The earthquake of magnitude 8.4 occurred on March 3. 1933, this time also the quake caused heavy damage and landslides, it was then followed by a 21m high tsunami; In sum more than 6.000 people died. The dead toll was significantly lesser then in previous events, in the years after the tsunami of 1896 authorities had invested in catastrophe mitigation, escape routes were build and the coast reinforced by special constructions (4m high walls and artificial barriers) and planted trees. Most effort was put into education; booklets warned of the consequences of earthquakes in the sea and explained the signs of danger of a incoming tsunami: a tsunami can be preceded by a loud noise like a thunder, the most important warning sign is however the temporally retreat of the sea before the first wave. In May 1960 a tsunami generated by an earthquake off the coast of Chile reached the coastline of Hokkaido, causing havoc on the island of Okushiri, 142 people were killed.Okushiri was hit again in more recent years. July 12. 1993 an earthquake of magnitude 7.8 caused an 6-10m high tsunami that hit the small island to the west of Hokkaido (in nearly the same region an earthquake on August 29. 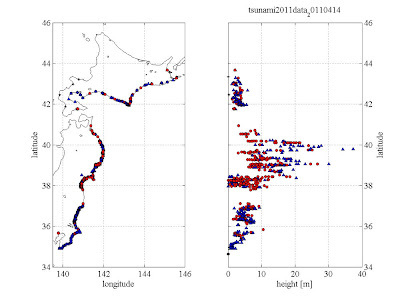 1741 produced a tsunami with a maximum run-up of 90m along the adiacent coast). From 680 buildings in the city of Aonae 550 were destroyed or damaged, more than 200 people were killed. Tab.1. List of the deadliest tsunamis in Japan's history with date/year, affected region and estimated death toll, adapted from KOZAK & CERMAK 2010. Fig.4. The Coastal Engineering Committee of the Japan Society of Civil Engineers released a map (23. March 2011) showing the heigths of the Tsunami on March 11.2011 in Japan. The highest value shown is 30meters with an average height of over 15 meter. As a geologist, I found the references to Tsunami "Black Water" interesting, and lo and behold, if the water in the video of the recent Japanese tsunami did not look coal black. I started thinking about it and came to the conclusion that it was most likely due to to organic rich mud scoured up from the bottom by the turbulent flowing waters. This gives the water a black opacity that is different from what it would be if it was sand or mud.